FINE FOOD or should I say--"F00D FOR FINES." Today, January 21, 2019, is Martin Luther King Day and many businesses and public libraries are closed for the day. The Urbandale Library, just a few blocks from our home, was open and sponsored a holiday appropriate event. 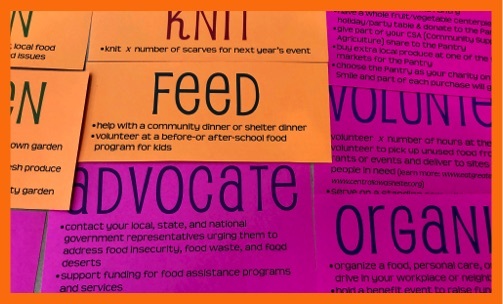 In cooperation with the Urbandale Food Pantry, the Urbandale Library sponsored a special event called "Food for Fines." Here's how it works--for every item you donate today, you get $1 deducted from your library fine fee with no limit. If you do not have a library fine, you are still ahead of the game because you are helping feed the hungry right here in our community. Yet, the story doesn't end here. 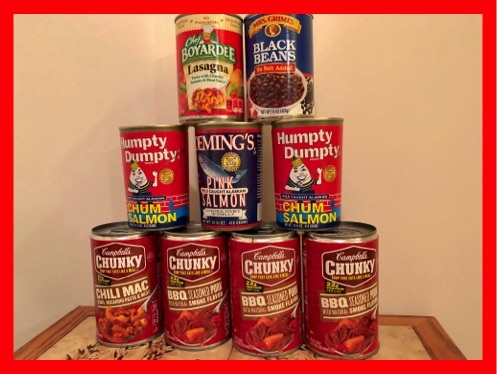 If you missed this holiday event, you can still donate nutritious, non-perishable food by taking it directly to the food pantry, or if your church has a food collection drive, just drop it off there. The mission team will deliver it for you. 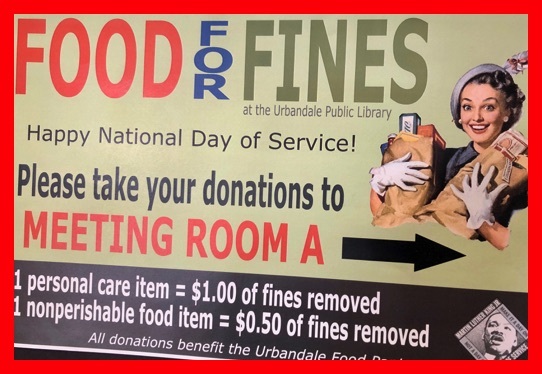 The story doesn't end with the Urbandale Library "Food for Fines." 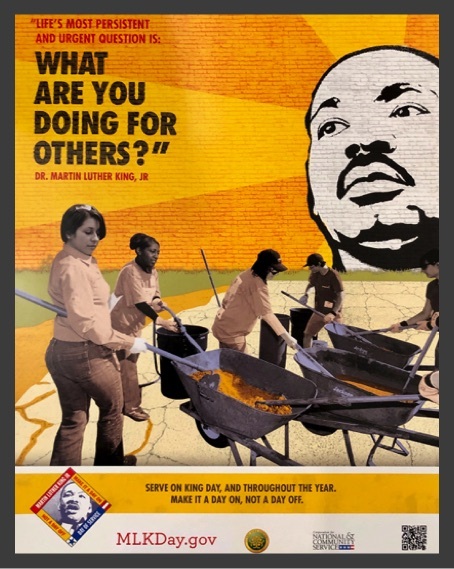 There were also activities for the Martin Luther King Jr Day of Service. 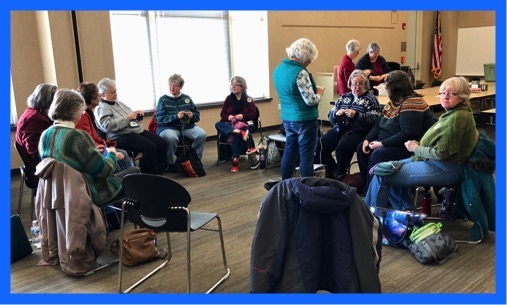 Kids were invited to color pictures and these ladies spent the day knitting, crocheting and making craft items. All of this would be distributed to neighbors in need. What a great tribute to MLK Day. "I have a dream that one day every valley shall be exalted, every hill and mountain shall be made straight and the glory of the Lord shall be revealed and all flesh shall see it." Martin Luther King Jr.